Did you know that if everyone composted their food waste at home, it would reduce the amount of waste deposited in landfills by over 30 percent annually, or almost 71 million tons per year? Composting is a worthwhile process that both individuals and large organizations should consider. It’s not only good for your organization, but it’s extremely healthy for the environment. 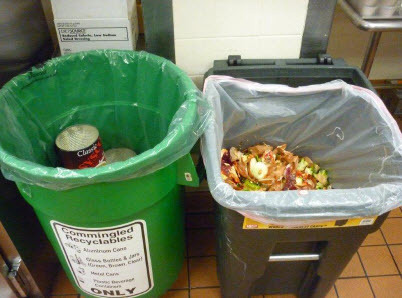 Since 2005 Sinai Hospital, Northwest Hospital and Levindale Hebrew Geriatric Center and Hospital have been composting leftover cafeteria food waste. In 2010 over 150 tons of food waste was composted from these four facilities. 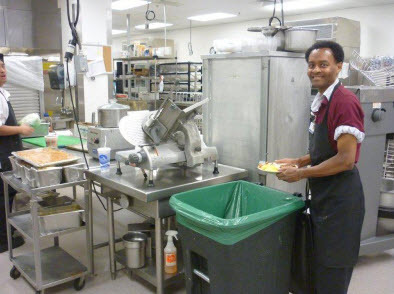 The composting process begins with LifeBridge kitchen staff. The staff separates the food waste during preparation and after disposal. The waste is held in compost containers until it is ready to be removed. Once the compost containers are full they are placed in an outdoor holding area until they are picked up by Waste Neutral for transport to their compost site. At the compost site the waste is processed into fertile soil. 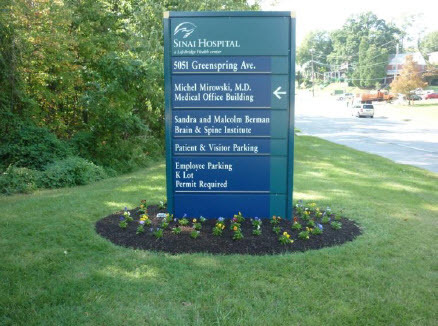 Campus landscaping at Sinai Hospital and Northwest Hospital. Therapeutic planting exercises for Levindale residents. Free giveback events for employees. 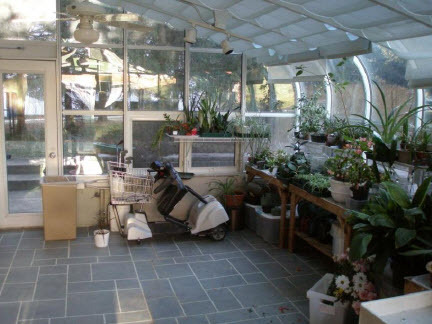 Identify the materials and/or locations in your facility that will support a composting program (kitchen, café, coffee shops, etc.). Identify a vendor/hauler to remove the waste and provide collection containers. Educate your staff on what is compostable matter and how they can keep it separated from other waste material. Start the process, monitor its success and address any issues. The earlier these issues are addressed the more successful the program will be. Communicate/Publicize the initiative across the facility. You can reclaim and reuse millions of pounds of waste that normally would end up in a landfill. Better control of food waste. Eliminates the need to use non-organic chemical fertilizers. Mixing of compost (in its end product state) with existing soil reduces the toxin levels caused by air and water pollution. A new compost program can be implemented with minimal operational modifications. Substantial increase in recycling numbers.